Submitted by Alan Champ on 3 June 2007 - 5:38pm. 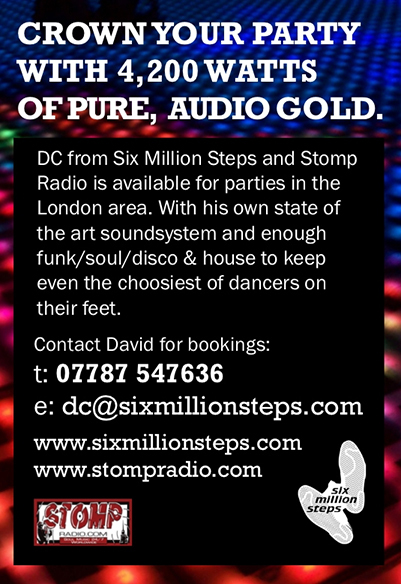 Fancy having shows and mixes from Six Million Steps delivered to you as soon as they're available ? Now you can, courtesy of iTunes. You'll need to download the latest version of iTunes via this link, then follow the easy instructions below. To subscribe, simply fire up your iTunes software, click on the Podcasts icon on the left, then drag-n-drop the orange chicklet icon onto the main body of the iTunes application. By clicking on the iTunes 'Get' button, you can download which ever show you like, and (here's the good bit) by setting your preferences correctly, you can have shows automatically downloaded to your PC or iPod. To set this up, go to Edit, Preferences ..., Podcasts, and then select your subscription and download options.